Writer/Director Gareth Evans was in attendance Friday night at the world premiere of APOSTLE. He teased an upcoming TV series for HBO (a modern day Gang Drama set in London) and shared his love of exploring different genres as he continues writing, directing and collaborating with incredible creatives from all over the globe. 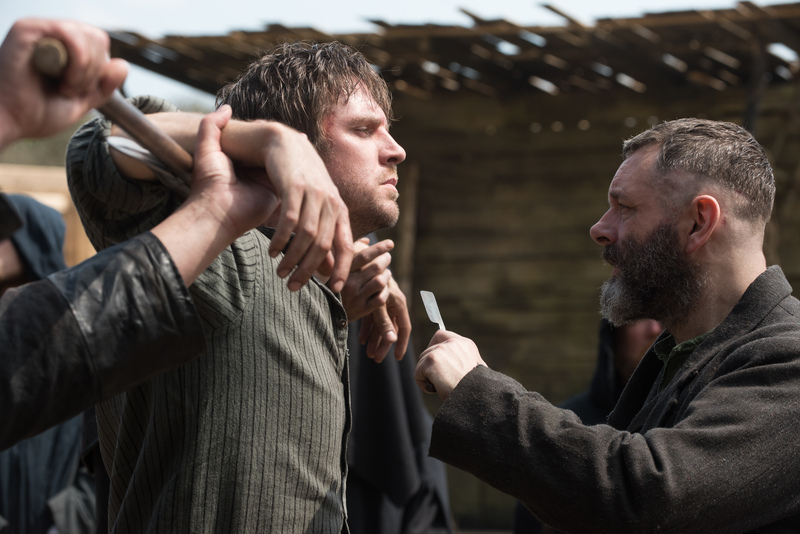 If you’ve seen The Raid you’re already familiar with his work and make no mistake there are expertly shot, gory action sequences and this film is well paced but APOSTLE is more akin to British ghost stories than The Raid’s Indonesian martial arts masterwork. This is horror, with a sprinkling of comedy, gorgeously shot so you see every pore in Michael Sheen’s face as well as expansive views of the cults island paradise. That is, if your idea of paradise is a village crafted using the boats that our true believers sailed in on surrounded by a foreboding forest inhabited by a creepy crone and a character credited as “the Grinder”. 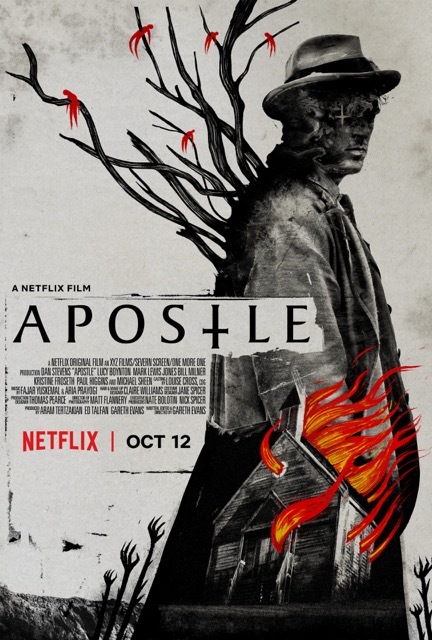 APOSTLE will be released on Netflix October 12th and if you enjoy Dan Stevens mesmerizing eye darting and tortured protagonist performance in Legion you’ll get plenty of that, plus a powerhouse holy roller played by Michael Sheen (Frost/Nixon, and the upcoming Good Omens). Lucy Boynton and Kristine Froseth stand out as compassionate and strong-willed women with conflicted father/daughter relationships. Another stand out is Welsh actor Mark Lewis Jones who takes over-protective fatherhood to a whole new level! This film is intense, brutal and might not be for everyone but the riveting performances, breathtaking cinematography, unyieldingly intimate sound design, beautiful soundtrack and subject matter made for an exciting evening of cinema! Watch it on the biggest screen with the best sound you can find.